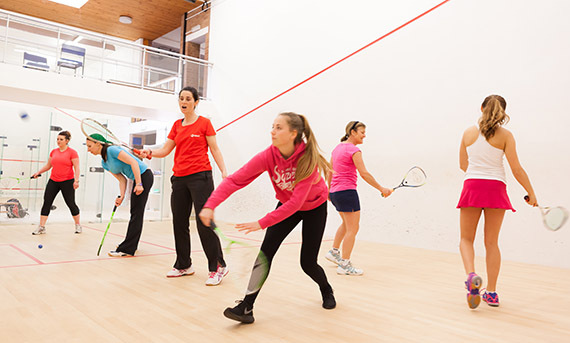 This spring, England Squash are offering the chance to become a qualified England Squash Level 1 coach by attending a subsidised course in return for the delivery of female-only squash or Squash 57 sessions. The course costs £50 and in return England Squash would like coaches to deliver at least 10 female-only squash sessions. Coaches will be provided with resources to promote and deliver the sessions including: a free Dunlop kit bag, access to the Squash Girls Can Toolkit and support to help them develop. This is a great opportunity for clubs who are keen to increase female participation, or players who are keen to become coaches. In two years, England Squash have upskilled more than 70 female coaches and leaders to deliver Squash Girls Can sessions. This year, our ambition is to double that amount. Find out more. Share the information with your local contacts, clubs, players, leisure centres, universities and colleges. Share the England Squash news story on your social media pages, website and in your newsletter. Encourage potential candidates to fill in the application form here and we’ll be in touch to let them know if they’ve been successful. Places are limited. You must be aged 16 or over to apply.